“The company has shown strong listing gain of around 22 per cent. However, we expect further upside in stocks considering its reasonable valuation compare to its peers. Further, Polycab’s market leadership position in wires & cables segment, diversified product portfolio, strong distribution network & brand recall and proven financial track record are the key positives,” said Amarjeet Maurya, AVP – Mid Caps, Angel Broking. Analysts at Prabhudas Lilladher had recommended “Subscribe” rating to Polycab given leadership with most versatile product range in cables and wires, strong distribution with 2,800 distributors and over 0.1 mn retail touch points, strong manufacturing base, diversification into premium FMEG segment with presence in fans, lighting, switchgears & switches and likely reduction in working capital due to channel financing. “Polycab’s revenue and profit after tax clocked 17 per cent and 35 per cent CAGR, respectively over FY15-18, while margin expanded to 10.7 per cent in FY18 from 9.2 per cent in FY15. 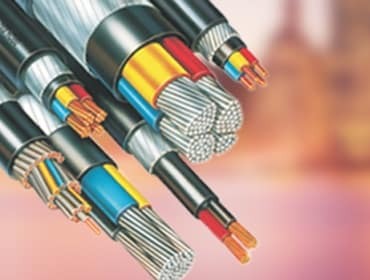 Wires and cables industry is expected to see sustained demand driven by multiple favourable factors, and we expect growth momentum to sustain, going ahead as well,” analysts at Reliance Securities said in an IPO note.